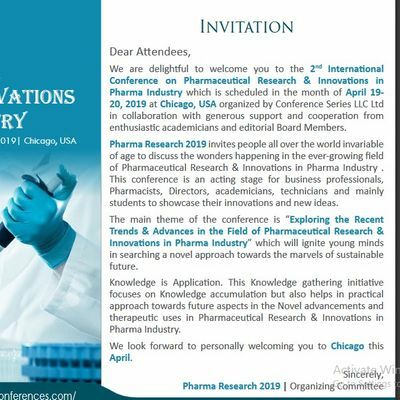 After a successful conference of International Conference & B2B on Pharma Research and Development, Pharmaceutical Conferences team cordially invites participants from all over the world to attend "2nd International Conference on Pharmaceutical Research & Innovations in Pharma Industry " (Pharma Research 2019) slated on April 19-20, 2019 at Chicago, USA. 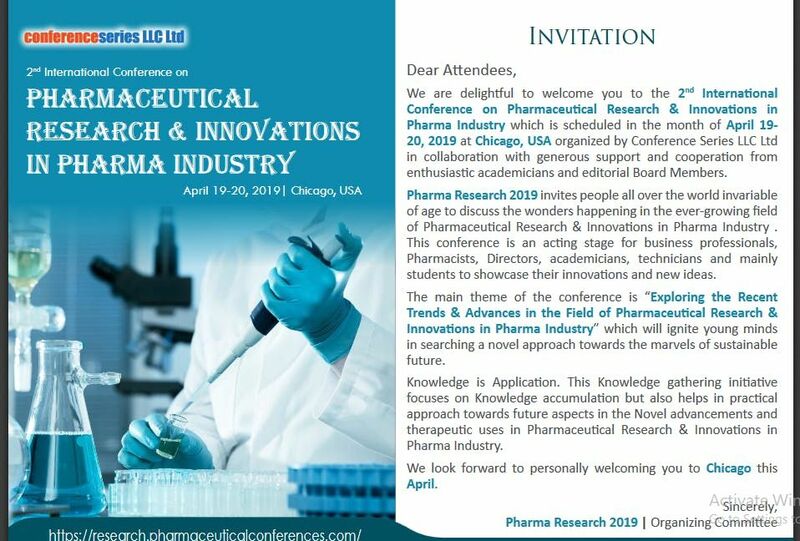 This Pharma Research 2019 conference includes a wide range of Keynote presentations, Oral talks, Poster presentations, Symposia, Workshops, Exhibitions and Career development programs. We cordially welcome all the eminent Professors, researchers, students, and delegates to take part in this upcoming event to witness invaluable scientific discussions and contribute to the future innovations in the field of Pharma Research and Development.2019 Highlights: 300+ Participation (70 Industry: 30 Academia) 10+ Keynote Speakers 50+ Plenary Speakers 20+ Exhibitors 14 Innovative Educational Sessions 5+ Workshops B2B MeetingsMotives to attend: Get ahead of the competition: Gather fresh intuitions from key speakers to help make restored decisions on doing business in Pharma Meet & Connect with Senior Stakeholders from the global Pharma network Content your way: Access a variety of technical and commercial tracks across the entire supply chain, or choose the one track that is most relevant to your research Save months of research: Don’t spend eras reading whitepapers, come and hear from the decision makers themselves on the latest trends, challenges and opportunities at the forefront of the industry A Unique Opportunity for Advertisers and Sponsors at this International event Triumph of Awards, Certificates recognizes your commitment to your profession to encourage the nascent research.Over 50+ organizations and international pavilions will be exhibiting at the Pharma Research 2019 conference. Exhibitors will include equipment manufacturers and suppliers, systems providers, finance and investment firms, R&D companies, project developers, trade associations, and government agencies.In addition to the products and services you will have access to valuable content, including Keynote Presentations, Product Demonstrations and Educational Sessions from today’s industry leaders.The Pharma Research 2019 has everything you need, all under one roof, saving you both time and money. It is the event you cannot afford to miss!Target Audience: Directors, CEO’s of Organizations Business Development Managers Chief Scientific Officers R&D Researchers from Pharma Industries Professors, Associate Professors, Assistant Professors PhD Scholars Patent Attorneys Investment Analysts Association, Association presidents and professionals Noble laureates in Health Care and Medicine Bio instruments Professionals Bio-informatics Professionals Research Institutes and members Manufacturing Companies CRO and DATA management Companies Training InstitutesConference Series LLC Ltd is organizing Pharma Research Conference in 2019 at Chicago, USA. We organize Pharma Research Meetings in the fields related to Pharma Research, Drug Discovery and Formulations, Challenges in pharma Research and Development, Parma Industries, universities, Pharma R&D, CROs and CMOs, Clinical Research Sites, Pharma/Biotech and Medical Device industries, Hospitals and Associations. Sessions/TracksTrack: 1 : Pharmaceutical Research and Development:For developing a new medicine it will take nearly 10-15 years and on average and costs an average of $2.6 billion. In discovery procedure comprises the initial stages of research, which are intended to recognize an investigational drug and perform primary tests in the lab. This first stage of the process takes three to six years. By the end, investigators hope to identify a capable drug aspirant to further study in the lab and in animal models, and then in people. These developments offer great ability, but also add complexity to the R&D process. In order to ensure the safety and efficacy of personalized therapies that are used along with diagnostics, clinical trial protocols must be improved and increased.Track: 2 : Formulations and NNDS:The drug delivery technology market is expected to reach USD 1,504.7 Billion by 2020 from USD 1,048.1 Billion in 2016, growing at a CAGR of 7.5% from 2015 to 2020. The global market for Novel Drug Delivery Systems (NDDS) is expected to hit USD 320 billion by the year 2021. With the rising number of patients suffering from different types of cancer, favorable reimbursement scenario in US, improved and advanced healthcare infrastructure have driven North America to become the leading regional segment in the global NDDS in cancer therapy market. Among the NDDS technologies Embolization of Particles, Selective Internal Radiation Therapy (SIRT), Holmium-based Microspheres, Liquid Embolics and Nanoparticles are gaining importance from market point of view.Track: 3: Drug discovery and NCEs:In 2018 FDA has approved 34 new drugs which are presently in the market. Each year, CDER approves series of new drugs and biological products. Some of these products are often innovative new products that never before have been used in clinical practice. FDA’s classification of a drug as an “NME” for review purposes is distinct from FDA’s determination of whether a drug product is a “new chemical entity” or “NCE” within the meaning of the Federal Food, Drug, and Cosmetic Act. According to Medscape the ratio of researched drugs to eventually approved therapies at between 5,000-to-1 and 10,000-to-1. Nonetheless, if a drug manages to gain FDA approval, the cumulative direct and indirect expenses are huge. As per estimated study performed by a well-known university, the true cost to bring a drug to market was US$2.56 billion. This figure is inclusive of just shy of $1.4 billion in average out-of-pocket costs to the drug developer, as well as $1.16 billion in time costs, which are essentially the expected returns that investors forgo while a drug is in development.Track 4: Active Pharmaceutical Ingredients:The API market in the US is as expected growing at a CAGR of 7% over the period 2014-2019. The market research and analysis estimates that in terms of geographic regions, the Americas will be the major revenue contributor to the active pharmaceutical ingredients market throughout the next four years. The increasing demand for generic drugs from countries such as the US, the growth in aging population, and the presence of an organized R&D structure for drug development are some of the major factors that will drive the growth of the market in this region. The key vendors in this sector are Abbott Laboratories, Aurobindo Pharma, Mylan and Teva Pharmaceutical Industries.Track 5: Quality by design(QbD) approach:“The Quality cannot be tested into the product, but it should be built into it.” QbD can be attributed as a Scientific, risk-based, holistic and proactive approach to the development of a pharmaceutical product. It is more of a deliberate design effort from product conception through commercialization requiring full understanding of how product attributes and process would relate to product performance. In FDA’s Office of New Drug Quality Assessment (ONDQA), a new risk-based pharmaceutical quality assessment system (PQAS) was established based on the application of product and process understanding. The difference between QbD for NDA and ANDA products is most apparent at the first step of the process. For an NDA, the target product profile is under development while for the ANDA product the target product profile is well established by the labeling and clinical studies conducted to support the approval of the reference product.Track: 6: Good Manufacturing Practices (GMP):Good Manufacturing Practice is the part of quality management which ensures that products are consistently produced and controlled according to the quality standards appropriate to their intended use and as required by the marketing authorization, clinical trial authorization or product specification. Good Manufacturing practices conference aims at both production and Quality Control. Current Good Manufacturing Practices (cGMP) is aimed primarily at managing and minimizing the risks inherent in pharmaceutical manufacture to ensure the quality, safety and efficacy of products. FDA regulates the quality of pharmaceuticals very carefully. Current Trends in the FDA is the main regulatory standard for ensuring pharmaceutical quality.Track: 7: Regulatory Affairs:Regulatory affairs is a comparatively new profession which developed from the desire of governments to protect public health by controlling the safety and efficacy of products in areas including pharmaceuticals , veterinary medicines, medical devices, pesticides, agrochemicals, cosmetics and complementary medicines. Regulatory Affairs is involved in the development of new medicinal products from early on, by integrating regulatory principles and by preparing and submitting the relevant regulatory dossiers to health authorities. Regulatory Affairs is actively involved in every stage of development of a new medicine and in the post-marketing activities with authorized medicinal products. The Regulatory Affairs department is an important part of the organizational structure of pharmaceutical industry. Internally it liaises at the interphase of drug development, manufacturing, marketing and clinical research. Externally it is the key interface between the company and the regulatory authorities.Track: 8: Pharmaceutical Manufacturing, Scale Up and Tech transfer:The biopharmaceutical sector in US enjoys 17% of all domestic R&D funded by the country and in return gave $2.5 trillion cumulative addition in economic output in 2016. Companies engaged in the brand name pharmaceutical manufacturing have grappled in recent years owing to the largest waves of drug patent expirations in history. As a consequence enabling low-price generic drugs to inundate the market. Many brand name pharmaceutical manufacturers have contended with intensifying competition from generic manufacturers, cutting into revenue growth. Until the next the five years till 2022, investments in research and development that generate a high return will occur as many pharmaceutical manufacturers strengthen their drug pipeline with orphan drugs.Recently, process engineers have shown inclination to single-use, modular and continuous manufacturing technologies to improve efficiency and minimize scale-up and technology transfer challenges in the pharmaceutical industry. Lot of these innovations are driven by updates instigated by the FDA. The changes are inevitable; especially in the already aging biopharmaceutical sector of the industry, where original processes are often overly complex, and are characterized by inefficiency, and occasionally, inherent unpredictability.Track 9: QC & QA: Quality control and Quality assurance:With greater attention to the following elements this session will discuss the all the key lookouts essential for the development of a QA/QC system in pharmaceutical manufacturing process and requires implementation in tracking inventory compilation: An inventory agency responsible for coordinating QA/QC activities; A QA/QC plan; General QC procedures Source category-specific QC procedures QA review procedures; Reporting, documentation, and archiving procedures. Market research analysts predict that the global automated industrial quality control (QC) market will grow steadily at a CAGR of around 8% by 2021.Track 10: Analytical strategies for pharmaceutical products:Chromatography and MS are extensively used in the formulation development stage of generic drug products. The ICH Q3B guidelines address the reporting threshold, identification threshold, and qualification threshold for impurities in the drug product. Chromatography (LC) and Gas Chromatography (GC) are extensively used to analyze stable compounds. However, for labile compounds require derivatization prior to LC or GC analysis. For certain selected analyses, Liquid Chromatography- Ultraviolet Detection (LC-UVD) and Gas Chromatography-Flame Ionization Detection (GC-FID) techniques may be deemed suitable. However, Liquid Chromatography-Mass Spectrometry (LC-MS) and Gas Chromatography-Mass Spectrometry (GC-MS) are usually the techniques of choice when higher specificity and sensitivity are required. Gas Chromatography-Electron Capture Detection (GC-ECD) techniques are commonly used for halogenated PGIs/GIs to enhance sensitivity and selectivity. Occasionally, some spectroscopic techniques like Nuclear Magnetic Resonance (NMR), light scattering, and Inductively Coupled Plasma-Mass Spectrometry (ICP-MS) are used in analyzing PGIs/GIs.Track 11: Pharmaceutical Packaging and Logistics:Packaging is one of the largest industry sectors in the world, worth several billions. There are three major types of pharmaceutical packaging, which are: solid packaging, semi-solids packaging and liquid packaging. The pharmaceutical packaging is a very profitable industry and it is estimated that for 2022 it will reach USD. 8.24 billion. Pharmaceutical packaging represents a meagre percentage of this colossal market. The Global Logistics Market is expected to grow at a CAGR of 7.0% from 2016-2021 and CAGR of 5.6% from 2021-2027. By 2020, pharma cold-chain logistics will be worth $16.7 billion, and non-cold chain at $77.1 billion. The market was estimated at $14.84bn in 2016 and is expected to grow to $28.75bn in 2027.Track 12: Regulatory Authority Compliance:With more stringent compliance parameters set by the USFDA the quality assurance of pharmaceutical products is ensured. In addition to cGMP, GLP and GCP practices as per the US Federal law pharma products should comply with 21CFR regulations. Also on a regular basis the FDA organizes compliance programs for the pharma industries in program areas like Biologics (CBER), Bioresearch Monitoring (BIMO), Devices/Radiological Health (CDRH), Drugs (CDER), Food and Cosmetics (CFSAN), Veterinary Medicine (CVM). The results of regulatory audits NAI – No Action Indication, VAI – Voluntary Actions Indicated, OAI – Official FDA Action Indicated are also critical to decide by auditors in regards to compliance matters and call for several challenges to overcome by the manufacturers.Track 13: Clinical trials and Pharmacovigilance:The global clinical trials market size was valued at USD 40.0 billion in 2016 and is expected to grow at a CAGR of 5.7% until 2025. The demand for biosimilars testing is expected to increase in the U.S. The interventional study design is the most prominent method of conducting clinical trials across with globe. According to statistics provided by the U.S. FDA, over 126,000 trials are currently being conducted by means of this method. Based on indication, the oncology segment is anticipated to witness the fastest growth. According to various sources, more than USD 38.0 billion is currently spent by the healthcare industry towards preclinical and clinical development of oncology therapy products. Hence, it is anticipated to grow at a lucrative CAGR and contribute over USD 15.0 billion towards the clinical trials market by 2025. MENA’s clinical trial revenues is expected to increase almost 10-fold over the next decade, which will build an annual market of about $1 billion.Track 14: Pharma Market Research:Two powerful megatrends — dramatic deceleration in U.S. market growth and significant restructuring of the healthcare system — are at play in the U.S. pharmaceuticals industry. The U.S. pharmaceutical market is the world’s most important national market. Together with Canada and Mexico, it represents the largest continental pharma market worldwide. The United States alone holds over 45 percent of the global pharmaceutical market. In 2016, this share was valued around 446 billion U.S. dollars. The biopharmaceutical companies in the United States exported goods in the amount of some 31 billion U.S. dollars during 2016. In the United States, there are an estimated 100,000 OTC drug products marketed and sold in a variety of outlets, such as pharmacies and convenience stores. TH revenue for the OTC drugs also add to the pharma market growth. Top markets for pharmaceutical products continue to be developed countries in Western Europe, East Asia, and North America with high per capita spending on healthcare, growing elderly populations, and advanced regulatory systems. Though ranked lower, there are growing opportunities in developing countries like China as incomes and healthcare spending increases. The pharmaceutical sector has consistently been one of the most R&D intensive industries in the United States. The research-based industry generally allocates around 15 to 20 percent of revenues to R&D activities and invests over $50 billion on R&D annually.Track 15: Pharmacoeconomics:Health economics is a tool to help us prioritise different and sometimes competing health care interventions for these fixed resources and, in doing so, health care is treated as a commodity like any other. Knowledge of health economics coupled with political insight is essential to understand resource allocation and expenditure in a modern health care system. Pharmacists, with their unique knowledge of medicine, are crucial in using pharmacoeconomic analysis to influence expenditure and distribution of resources on medicines. Design and management of pharmacoeconomic studies cost and burden of illness studies, drug utilization, budget impact analysis, modeling and simulationsare very important in today’s pharmaceutical market. Moreover pharmacoeconomic approach towards Management of Consensus Meetings (Advisory Boards, Delphi Panels, etc.) Re-analysis of trials Implementation and customization with local data of pharmacoeconomic models have greatly aided the pharma industries.Track: 16: Drug Delivery Technologies & Drug Designing and Development:Particle Sciences has a great deal of successful experience in the development of successful delivery systems for many types of APIs and sites of action. Drug delivery technologies enhance drug absorption, efficacy, and patient experience. Enhancing the drug delivery technology of final pharmaceutical formulation can increase its commercial success. Drug delivery systems have been used in delaying drug clearance processes. Drug delivery approaches have their advantages and limitations. Drug delivery approaches include solubilization, permeability enhancement, modified release (MR). Researchers discover new drugs through insights into a disease process that allow researchers to design a product to stop or reverse the effects of the disease. Once researchers identify a promising compound for development, they conduct experiments to gather information on how it is absorbed, distributed, metabolized, and excreted, best dosage, Side effects, how it interacts with other drugs and treatments and its effectiveness as compared with similar drugs.The global drug delivery technology market is projected to reach USD 1,669.40 Billion by 2021 from USD 1,179.20 Billion in 2016, at a CAGR of 7.2% during the forecast period. The North American drug delivery technologies market is projected to reach USD 758.7 Billion by 2021 from USD 520.0 Billion in 2016, at a CAGR of 6.5% during the forecast period. Bringing one new drug to the public typically costs a pharmaceutical or biotechnology company on average more than $1 billion and takes an average of 10 to 15 years. Each drug undergoes a stringent process of discovery, development, approval and finally, public use. Track: 17: Pharmaceutical Nanotechnology: Challenges and Opportunities:Pharmaceutical nanotechnology is most innovative field in the pharmaceutical industry. Nano technology is dealing with new emerging technologies. Application of nanotechnology in imaging, diagnostics and therapeutics is considered as an important factor. The drug delivery system positively impacts the rate of absorption, distribution, metabolism, and excretion of the drug or other related chemical substances in the body. Within regulatory boundaries thermodynamics and nanotechnology are considered to be evolving tools to provide new and integrated knowledge for the production of new medicines.Nanotechnology speaks to a stage for creating progressive changes and enhancements to a wide range of parts of pharmaceutical assembling. Pharmaceutical nanotechnology has provided fine-tuned diagnosis and focused treatment of disease at a molecular level. Nano technology is having an utmost importance in Gene therapy.Track: 18: Use of Nanoparticles in DDS and Newer Methodologies:A particle with at least one dimension less than 100nm is a nanoparticle. They are composed of synthetic or semisynthetic polymers carrying drugs or proteinaceous substances. Nanoparticles have developed as capable vehicles to deliver drugs in the body. Nanoparticles comprising encapsulated, dispersed, absorbed or conjugated drugs have exceptional characteristics that can lead to higher performance in a variety of dosage forms. Nanoparticles are one of the novel drug delivery systems which can be of potential use in controlling and targeting drug delivery as well as in cosmetic textiles and paints. There are recent developments in the use of nanoparticles as drug delivery systems to treat a wide variety of diseases.Track: 19: Pharmaceutical Auditing for OTC Drugs:Non-prescription medicines, commonly known as over the counter or OTC medicines, are used for treatment. Sales of over the counter medicines in Ph*rm*cy and grocery outlets reached £1268 5 million in 1994 about a third of the NHS drugs bill of C3 6 billion. In the late 1980s the government fuelled the over the counter market by making it easier to reclassify certain medicines from prescription only status to allow over the counter sale in pharmacies. Although all non-prescription medicines are required to hold a product licence, few have been evaluated in formal clinical trials in the setting in which they will be used. As a result many non-prescription products sold by pharmacists have been criticised for their lack of effectiveness. There are three legal categories of medicines prescription only medicine (POM), Ph*rm*cy medicine (P), and general sales list medicine (GSL); the last can be sold from outlets including supermarkets and drugstores. The principle of a class of medicines whose sale requires the supervision of a pharmacist is not unique to the United Kingdom.Track: 20: Importance of Audit in Pharmaceutical Industry:International Organization for Standardization (ISO) 9000 requirements do not have the same status of “the law” in the U.S. as do requirements listed in the Code of Federal Regulations (CFR). Because 21 CFR 210 and 211 have legal status, the U.S. Justice Department has extensive powers to ensure compliance. 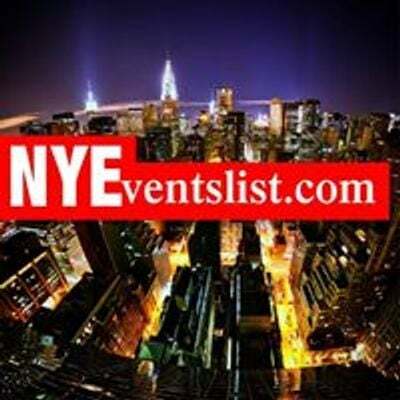 For example, product in the marketplace can be seized, fines can be levied, and personal liability can be assigned. So, management must understand that auditing must be taken seriously, and the requirements listed are just that – requirements. While audits are the common place in the pharmaceutical industry, the preparedness for those events varies. The companies that develop a risk-based approach to audits are able to remain competitive while meeting quality and government compliance standards on a regular basis. Conversely, the companies that have not implemented strong processes are putting themselves at risk for non-compliance. According to the Federal Food, Drug and Cosmetic Act, “Registered domestic drug establishments shall be inspected by the FDA at least once every two years.” Under some conditions the inspections may be even more frequent, As regulations become more stringent, regulatory authorities are likely to step up audits which is even more reason for companies to be prepared.Track: 21: Biologics and Biosimilars :A biopharmaceutical, otherwise called a biologic therapeutic item or biologic, is any restorative item made in, extricated from, or semi orchestrated from organic sources. Not quite the same as synthetically incorporated pharmaceuticals, they incorporate immunizations, blood, or blood segments, allergenic, substantial cells, quality treatments, tissues, recombinant restorative protein, and living cells utilized as a part of cell treatment. Biologics can be made out of sugars, proteins, or nucleic acids or complex mixes of these substances, or might live cells or tissues. They are confined from normal sources—human, creature, or microorganism. Phrasing encompassing biopharmaceuticals fluctuates amongst gatherings and elements, with various terms alluding to various subsets of therapeutics inside the general biopharmaceutical class. Some administrative offices utilize the terms natural restorative items or remedial organic item to allude particularly to designed macromolecular items like protein-and nucleic acid–based drugs, recognizing them from items like blood, blood segments, or antibodies, which are typically extricated specifically from a natural source Gene-based and cell biologics, for instance, frequently are at the front line of biomedical research, and might be utilized to treat an assortment of therapeutic conditions for which no different medications are accessible.